CARLSBAD — Tucked away along El Camino Real sits an eclectic mix of retail and commercial businesses. 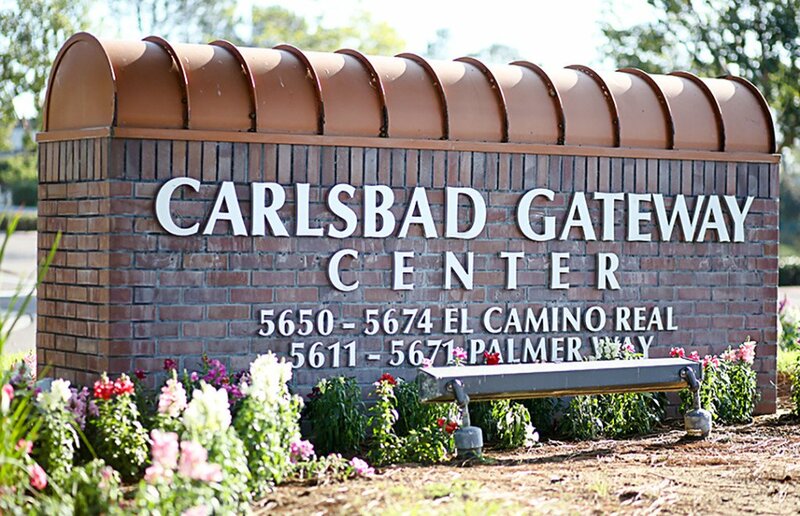 The Carlsbad Gateway Center is reinventing itself by providing small start-up shops with an avenue to grow, expand and flourish. In addition, the center also has mainstays such as offices for attorneys, sportswear, mountain bikes, textiles, Time Warner, college prep, finance, Pilates, breweries and more. Turning in the main entrance, meanwhile, features a rare collection of pine trees, a sort of Northern California-feel in the middle of Carlsbad. But for owners Chris and Jud Cornish, who bought the property in 2003, their success has come in recruiting small business owners looking for stable and cheap accommodations. As for space, a majority of the center offers offices up to 1,800-square feet, Chris Cornish said. The Cornishes realized their “M” zoning made for a unique opportunity. It allows for all types of retail businesses and industries mixed together, eradicating the permitting process. The center has become a pseudo-incubator for its food and drink clients such as Leap Coffee, Happy Pantry, Prager Brothers Artisan Breads, OH! Juice and dozens of others. The Cornishes and Property Manager Toni Adamopoulos visit each potential tenant, whether it’s at their home or another property to determine if the fit is right. They pour over business plans, revenues, projects and other aspects of the start-ups before offering a lease. Once in business, though, the center lends support and resources to help grow their newfound clients. Adamopoulos said there are currently 85 tenants in the center. She said a focus has been on the health and wellness sector, which is a growing and popular industry in the city and in the county. However, one issue for the Cornishes though is visibility. For most driving past, it is assumed to be another industrial or commercial park. There are a number of other business parks nearby. As a result, and to push holiday offerings, the center developed a website and created social media campaigns to highlight Gateway’s clients to potential customers. Also, the center works with the Carlsbad Chamber of Commerce to reach a larger population. Chris Cornish, though, said the center isn’t a one-stop experience. Instead, it offers a vast array of businesses, especially food, with a diverse range. 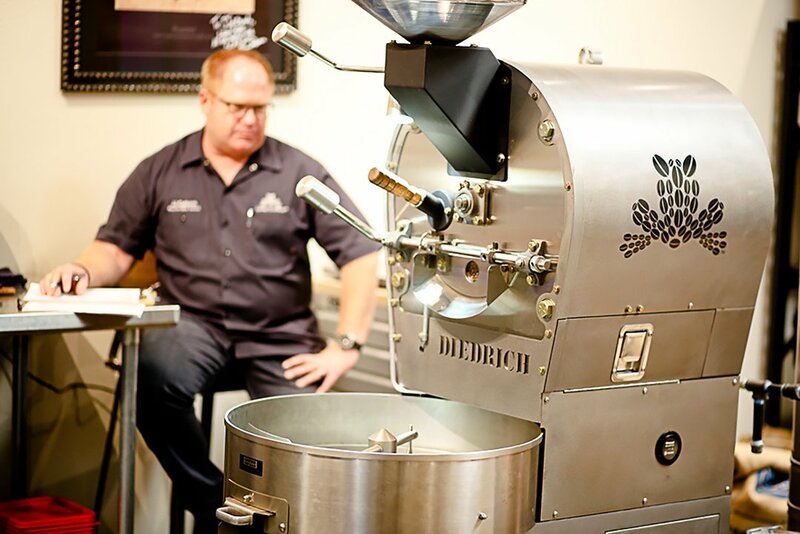 At Leap Coffee, owner J.J. Cutbirth quit his job in commercial real estate to chase his dream of roasting coffee beans. Instead of just wholesaling, Cutbirth decided to include serving his blends and has had steadily grown since opening in April. He said the store is increasing its customer base by 10 percent each month and averages more than 100 transactions per day. Although located at the backend of the plaza on Palmer Way, Cutbirth has been aggressive with advertising and using word of mouth. In addition, he set his store to accommodate business meetings or other work and personal-related functions for customers. Using his real estate background, Cutbirth said the location, despite being off the beaten path, is ideal because nearly 28,000 people work within a three-mile radius of the center. At Happy Pantry, the husband and wife team of Mark and Rebekah Stogsdill began with humble roots. Their fermented food offerings started in their then-home in the Hillcrest neighborhood in 2009. Mark Stogsdill was “expendable” from his sales job after the economy crashed, so he took up a passion project. He began working in his home, and after Rebekah Stogsdill joined the team about a year later, the two needed more space. The Cornishes and Adamopoulos visited their home office, a 450-square foot duplex, and offered the pair space at Gateway three years ago. Now, the two will move to a new location within the center because the customer base has grown substantially over the past three years. The pantry offers vegetarian meals and fermented beverages. They expect to be in the new space by the end of the year and will feature windows for customers to watch the fermenting process. In addition, they also plan to offer classes and tips for home fermenting in their live culture kitchen. ©Carlsbad Gateway Center 2018 – All rights reserved.